A classic-styled Brazilian live collaboration – a set with solo performances by each of the stars in the lead, and some great duet material together! The approach is one that's been used on Brazilian albums from the earliest records by Elis Regina and Jair Rodriguez – and it's still a fantastic way to present two strong singers in their best light – as Maria Bethania seems to hit a whole new level of warmth when singing alongside Zeca Pagodinho! Arrangements for Zeca's tracks are by Paulao De 7 Cordas, and Maria's are by Jaime Alem – and the set begins and ends with a number of duets, and features solo passages in the middle. 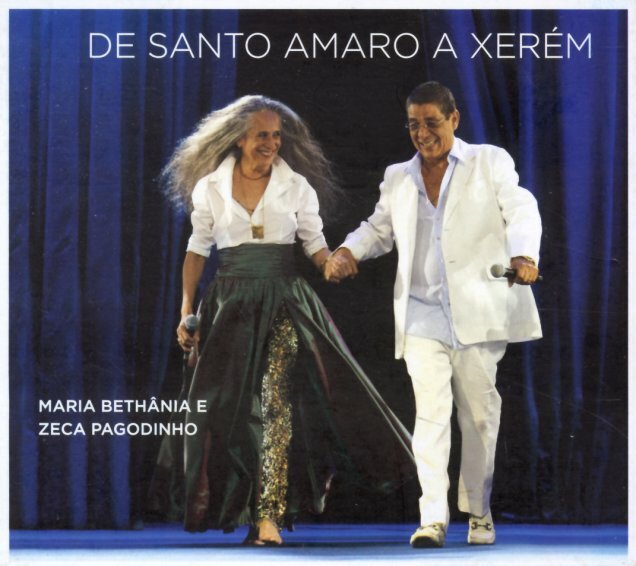 Titles include "Sono Meu", "Samba Pras Mocas", "Vai Vadiar", "Adalgisa/Falsa Baiana", "Iluminada", "Pano Legal/Safe Socaite", "Reconvexo", "Gente Humilde", "Amaro A Xerem", "Naquela Mesa", "Desde O Samba E Samba", and "Verdade". DVD features all the songs from the 2CD set – plus a bonus "making of" feature too! © 1996-2019, Dusty Groove, Inc.